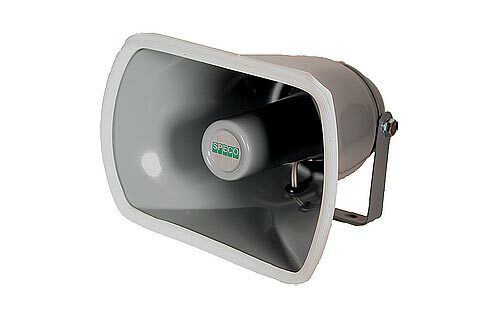 The Astatic 636L is a massive improvement in clarity, and crispness versus the "tin can" sound of the stock microphone. 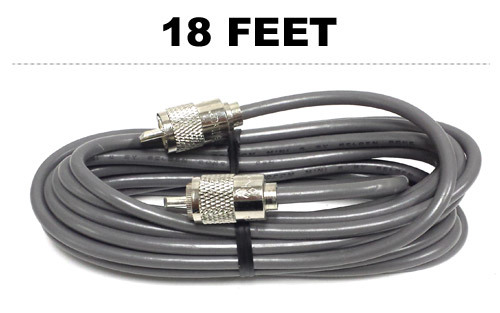 The least expensive way to sound clearer and better when talking. 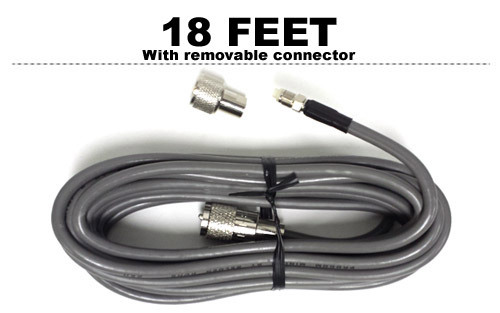 This microphone includes a metal sheath around the cord for added protection and a nicer appearance. Booming lows and crystal clear highs, this is the last speaker you'll ever own. Includes polished chrome case and mounting bracket. 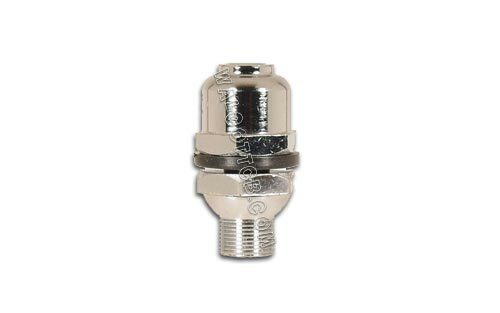 Power this CB off of an auxilliary or cigarette lighter power outlet. 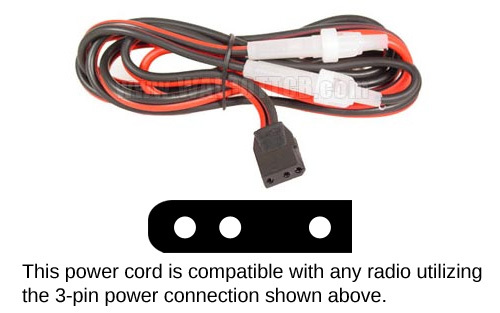 Just plug into your CB and the other end into your car's power outlet and you're done! CB radio police scanner combo! 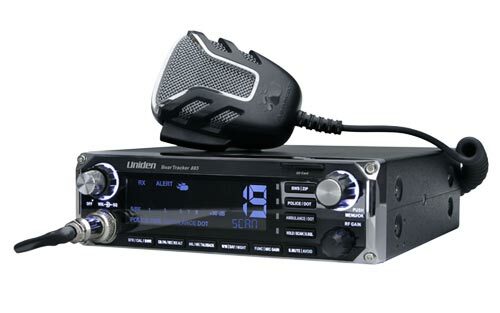 All new from Uniden and in stock for immediate shipping, the Uniden BearTracker 885 is a CB radio police scanner combo. 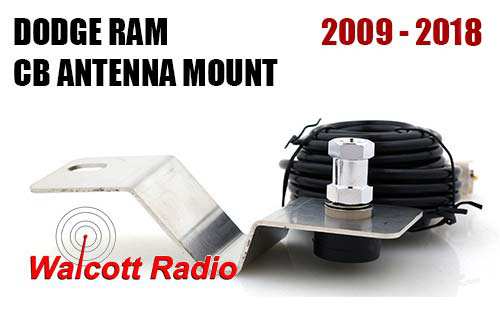 Also includes a free GPS and scanner antenna! This is probably the most innovative CB we've seen come around in a long time, definitely check it out. 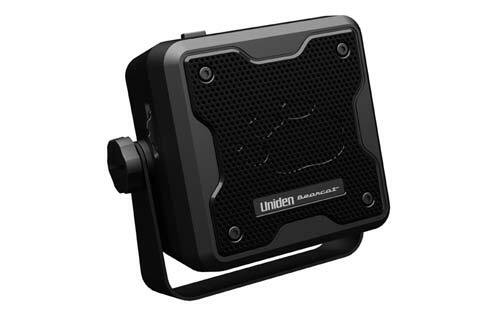 The Uniden BearTracker 885 does what no other CB radio can do: it can keep you up-to-date with current public safety activity anywhere in the US and Canada* by scanning for police, fire, ambulance, and/or DOT radio traffic. 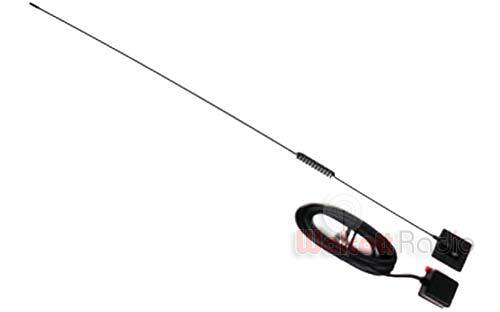 No need to worry about changing your Uniden CB radio police scanner programming as you drive. The included GPS allows the BearTracker 885 to automatically select nearby channels from its nationwide database without you having to lift a finger. We update that database every week, so if something changes where you are (or where you are going to be), simply load the latest using the included BearTracker Update Manager. The database includes all known* analog and digital channels, so all you have to do is drive and listen. 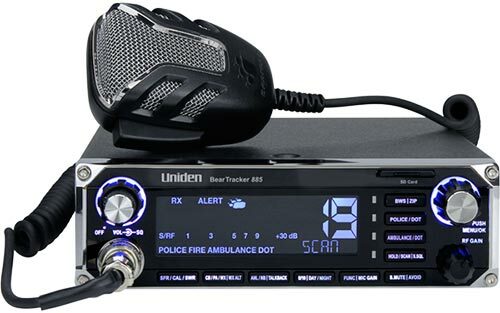 And, of course, the Uniden BearTracker 885 is a full-featured CB radio police scanner, too. 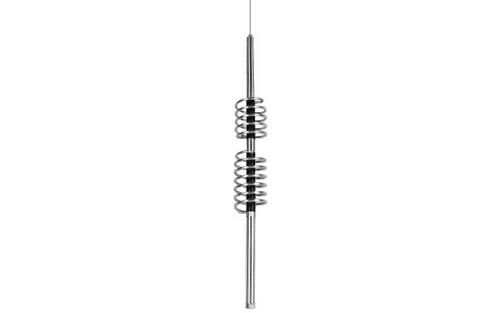 It has 40-channel CB operation, 4-Watt RF power, a 7-color display, a SWR meter for precision antenna tuning, RF Gain, Mic Gain, PA mode, Talkback, and NOAA Weather with Alert. The ergonomic noise-cancelling microphone is designed to enhance your transmissions, even in the noisy environment of a tractor-trailer cab. Legal alternative to Radar Detectors. Alerts you when nearby public safety transmissions are detected. Allows the BearTracker 885 to automatically select nearby scanner channels to monitor. Free updates keep the scanner database current so if an agency changes channels, you won’t be left behind. 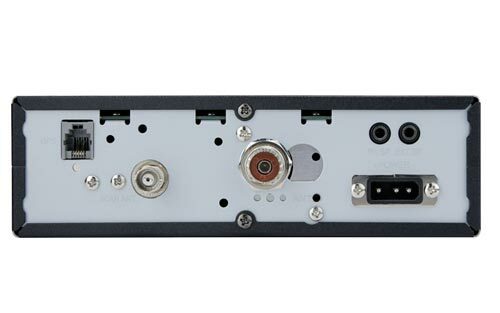 No need to program or select scanner channels.